Sigh. A few thoughts. First, yeah, she was in the wrong to do this even if she was under the impression that she had some native american blood in her. Second, if Trump had been caught doing this, it would barely be a blip on his scandal meter. He’ll exploit this of course, because that’s what he does, but give me a break. 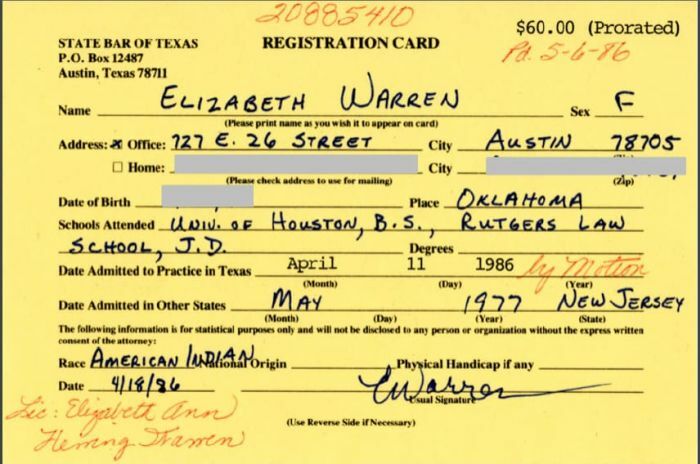 Third, if you’re the progressive candidate, you’re in a lot of trouble if you’ve had to apologize several times to Native American tribes before you have formally announced your candidacy.